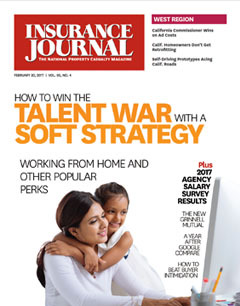 A free subscription to Insurance Journal magazine will be sent to applicants who qualify. Please complete the entire form below for consideration of our free subscription. Free print subscriptions are available in the U.S. only. If you are not a resident of the U.S. and would like to subscribe to the magazine, please click here to purchase your subscription. Otherwise please check digital version below for the free subscription consideration. Yes! 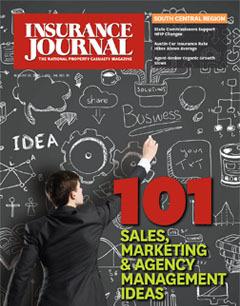 I'd also like to receive Insurance Journal's free daily newsletter. 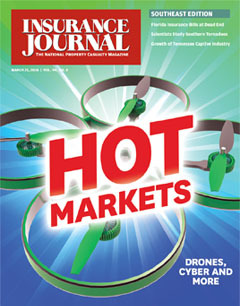 Exclusive survey results, specialty market directories, commercial and personal lines insight, and agency sales and management how-to's, columns by expert consultants and so much more! By providing your e-mail address you grant Insurance Journal permission to contact you about your subscription. 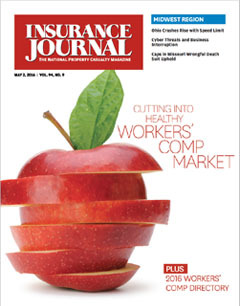 Insurance Journal reserves the right to limit the number of free subscriptions. Thank you applying to Insurance Journal.